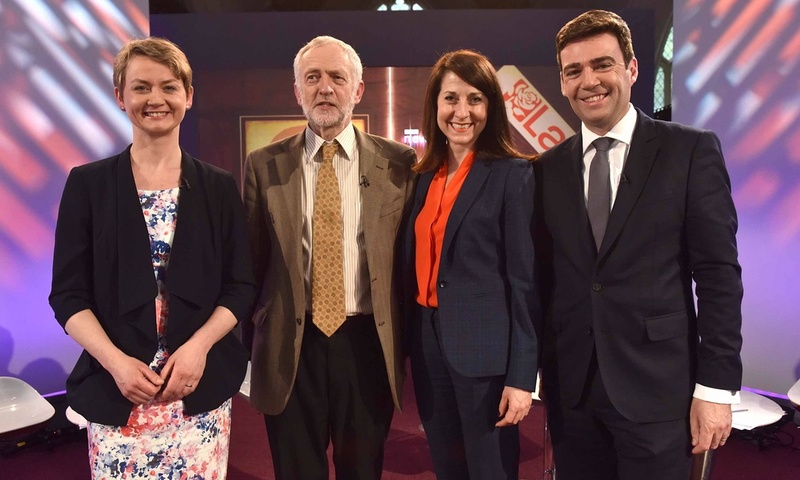 If you’re anything like me, you’ll be sick to death of the Labour leadership race by now. It’s hard to believe that it’s only been 100 days since the defeat of the Labour Party at the General Election, it almost feels a lifetime ago. Those 100 days have been dominated by the leadership race, from the shock ballot nomination of left-winger Jeremy Corbyn early on in the contest, to the personal attacks from candidate to candidate in the past couple of weeks. Despite being a fan of Ed Miliband, I was hoping that the leadership race would bring some spark back to the Labour Party, but I, like many other party members have been left less than enthused about what the next 5 years could be like under a new leader. One of the main talking points of the race has been Jeremy Corbyn; a breath of fresh air for some, and a headache for others. Having scraped together 36 nominations at the last minute, Corbyn became the fourth and final MP to make it on to the ballot paper. An MP since 1983, he’s well known for taking a stand against austerity, war, and poverty. But despite being the candidate that arguably represents the true core values of the Labour Party (it is a democratic socialist party after all), his presence on the ballot paper has led to intervention from high profile individuals such as Tony Blair, Jack Straw, and Alistair Campbell. It was MP’s such as Diane Abbot, Frank Field, and Sadiq Khan who nominated Corbyn, even if they don’t necessarily support his politics. Dawn Butler, another MP who nominated Corbyn, stated her now infamous interview with Kay Burley that it was the duty of the MPs to make sure there were many different people on the ballot to ensure that there was the widest possible debate in the party. However, judging by the backlash that Corbyn has faced, it seems that people only want democracy until their favourite politician isn’t on course to win. Jeremy Corbyn didn’t enter the contest with the view that he was going to become party leader, but recent polls have been suggesting that the MP for Islington North is on course to win the contest by a huge margin, with some also claiming that he is the most popular candidate among voters from all parties. However, as always we should take these polls with a pinch of salt. Nothing is certain until the ballot papers are counted and verified. Constant input and influence from former politicians and aides is annoying enough, but the most frustrating thing about the race has undoubtedly been the attacks on Corbyn from his fellow leadership candidates Andy Burnham, Yvette Cooper, and Liz Kendall. Throughout the race, Burnham and Cooper have treaded tentatively around the subject of so-called ‘Corbynmania’, both unwilling to rule out serving in a Corbyn cabinet, or whether or not they would have a place for him in theirs. However, the past week has seen a complete change of strategy in the Burnham and Cooper camps, with Burnham claiming that Jeremy Corbyn will make Labour a party of protest, and Cooper going as far as saying that he is offering “old solutions to old problems, not new answers to the problems of today”. On the other hand, leadership hopeful Liz Kendall has thoroughly opposed Corbyn from the start, which is understandable seeing as she represents the Blairites of the party. Yet it’s not her opposition to Corbyn that’s the problem; she’s allowed an opinion just as much as anyone else is. The problem with Kendall is the way she puts her opposition across. She’s criticised Burnham and Cooper on numerous occasions for even considering giving Corbyn a place in their cabinet. Her most severe attack on her rival came just several days ago, as she warned members to vote for only three of the four candidates on their preferential ballot, leaving Corbyn off the ballot completely. Perhaps it was too idealist to presume that each candidate could just focus on their own campaign rather than try to discredit the other voices, but the attacks have left me and many other Labour supporters feeling somewhat underwhelmed by the candidates. Claims that Labour MP’s will try to oust Corbyn should he gain the leadership isn’t the the sort of rhetoric that is going to fill Labour members and voters with hope and enthusiasm for the future. If their party isn’t going to be united under a Corbyn leadership, then what chance has it got in 2020? This isn’t to say that people can’t have an opinion on each of the candidates, but the perpetual personal attacks are growing tiresome. How much simpler the contest would be if all the candidates focused on putting their best foot forward; surely avoiding becoming enthralled by the vitriolic criticism would make their campaigns seem less immature? From the very start, Jeremy Corbyn promised to avoid making personal attacks on his fellow politicians, and it’s a promise he’s stuck to. Perhaps this is one of the reasons he’s proving so popular with Labour party members? But it’s not just the candidates who are engaging in such criticism, Labour Party members, supporters, and really just about everyone else have been expressing their opinions on the leadership race. Although it’s a brilliant tool to speak with like-minded people and spark debate, social media is largely unrepresentative of the population. Behind a screen, people feel free to post whatever they want, no matter how vicious. Liz Kendall has arguably been the subject of the most online abuse in the past few months, with many suggesting that her views would be better appreciated in the Conservative Party. The Photoshops of Kendall wearing a blue rosette might seem funny at first, but the verbal abuse she has faced is anything but. Just like Corbyn and his socialist politics, Kendall and her Blairite views have every right to be part of the race. The final thing that won’t be missed? The amount of literature that has been distributed to Labour Party supporters since May. Another day, another letter from Labour; whether it’s to ask for donations, or a candidate pleading for your vote, Labour Party members have no chance of forgetting which party they belong to. The personalisation of emails, texts, and letters verges on embarrassing; we don’t know the candidates on a personal level, so why pretend? The casual manner of the contact masks a desperate plea for support, but it’s easy to see straight through it. Something tells me that when the leadership race comes to a close, the emails will continue to flow, but at the very least I can hope to stop getting emails from Caroline Flint with a subject line reading “I don’t want to talk about irrelevant rubbish” (ironic, seeing as I received 3 emails from her in as many days). The leadership race should have injected Labour supporters with enthusiasm and hope, but instead they can’t wait for it to be over. It’s only natural that the party would be fragmented after such an unprecedented defeat in May, but the contest should have been the time to demonstrate that the party could remain united in preparation for 2020, regardless of the political leaning of its leader. One thing is for sure though, when the ballot papers are collected and the results are announced, we can all breathe a sigh of relief that it’s finally over.